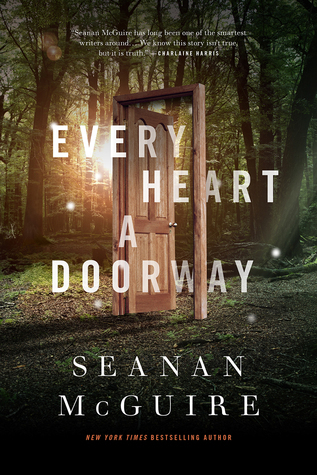 Review: I’m a big fan of Seanan Mcguire and I do not miss to read each of her novels. So when I saw the release of this short story, I admit that I was attracted right away. Moreover the story seemed to stage different ideas that I was curious to explore. The story takes place in a school… no it is not a school we usually find but something a bit different. Indeed, each student has one day entered a fantasy world, a place created especially for them and lived there for several years before returning in our world today. You can imagine that it will not necessarily please them to be back and they only dream to return to this place they cherish so much. Yet it is not easy but even impossible. Nancy has just joined this small group and as each of them, she is determined to go back from where she came from. Yet that does not stop her from making friends who have experienced the same thing or to understand that ultimately it is quite possible that she would never return. But as she slowly evolves into the boarding school, some bodies appear and she is determined to understand what is happening. Alas, all this could be much more complicated than expected. I spent a good time with this story that ultimately seems more than complete. The idea of the imaginary worlds was very intriguing and I admit that I was curious about each character. These protagonists are very varied and I enjoyed learning more about each of their personalities. I was also looking forward to discover the culprit of the history and I did not necessarily expect such an end. A very good story to discover! I haven’t had much luck with this author’s Urban Fantasy series but I’m very curious about this and am glad it has your seal of approval. Great review! Oh SMg is a woman! How cool! I though she’s a he… Darn it I got denied for this. And I was hoping to grab a copy because you’re a fan and your reviewed convinced me I have to try her work soon. She’s got a cult following, but I haven’t read any of her books. I’m glad her books continue to amaze you. I started this one last night, and I was too tired to finish. It is definitley different and the characters are very interesting. I am glad to know that it is complete as I was worried. Oh YAY! I was wondering about this one!! Oh nice! I have only read a novella by her but I loved it and I so need to get into her series. Now I have this one I need to get as well. Brilly review. G;ad you got a great story into such a short book, I love it when authors can do that! So glad to hear you enjoyed this, since I know you are a big fan of the author. I think I might actually like this one more than her other stuff I’ve tried, I hope to give it a read soon! Thanks for the review! This book has been on my shelf since I first heard of it, and I’m so happy you enjoyed it, Melliane! I’ve yet to try this author yet under this pen name. She has been on my TBR list for a while. I need to move her up. I did recently start listening to Mira Grant’s Newflesh Trilogy. I loved it. I’m not usually one for short stories anthologies, but I love the sound of this. I’d like to have gone to that school as well! 😀 A wonderful review, as always. Imaginary worlds sound pretty awesome.